Increase work productivity with these simple ideas! Many researchers report that the environment you work in will impact your productivity and ability to focus. Whether you have a home office or have a company office, it’s essential to design your space for ultimate efficiency. Here are a few tips and tricks! An overlooked, yet important part of a well designed office space is the lighting. Terrible lighting can cause a lot of downsides and that affect your productivity. Eyestrain, irritability, fatigue and headaches are all caused by bad lightning. It’s difficult to have a lot of control over the lighting situation in the office, especially when working in a common building for a company. Some offices are filled with windows that bring in a ton of natural light, which is great! For others, it may feel dark and depressing! Luckily, there are many lighting devices such as natural light bulbs or light therapy that will help create a well lit office! These devices will be helpful in order to feel your best and effective while avoiding eyestrain and headaches! Why does each person have a favourite colour they gravitated towards? Colours are very powerful, they affect the brain function and have a great effect on moods! To boost your productivity in the office, add colours that make you happy and that inspire you. This can easily be done by bringing items such as colourful inspirational quotes, beautiful paintings that remind you of a happy place, and bring items that remind you of success and so on. Take it a step further by painting your office walls with calming and serene colours. Blue is a very popular choice, we love pastel shades of blue that remind us of the sky! Regardless of what space we are in, clutter never helps when we try focusing on our work and get things done. We personally like to spend the first 15 minutes of our work day to clean the space around us. Cleaning puts us in a good mindset to get organized and that work is about to start! It’s natural for things to get messy as the day goes on, we are working hard after all! 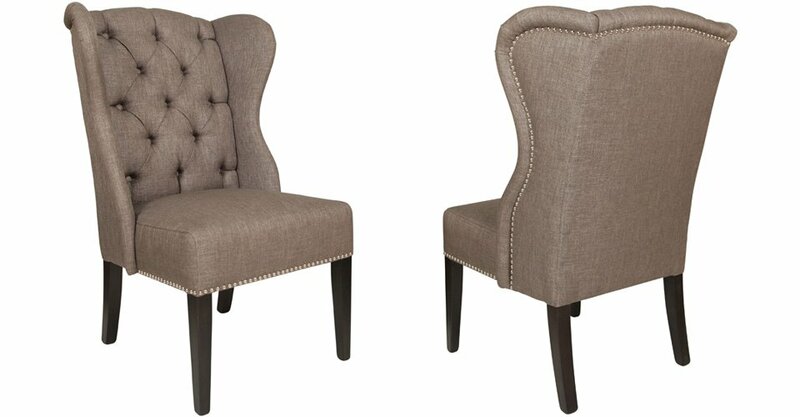 Accent Chair with Tufted Back: This elegant chair can be combined with many of our desks and is very comfortable. 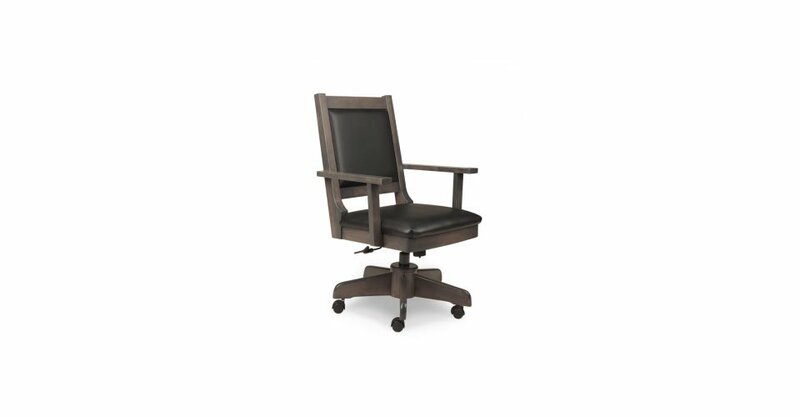 Made with sturdy maple materials and a beautiful espresso stain, this office chair will definitely add style to your office. 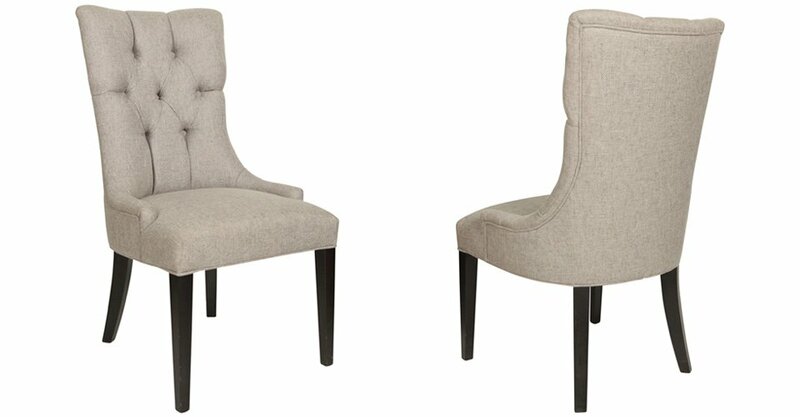 Safari Wing Chair: Luxurious and beautifully designed, the safari wing chair is a show stopper. It adds stylish details to the office while being very comfortable. We provide a great selection of materials and leather options to choose from! 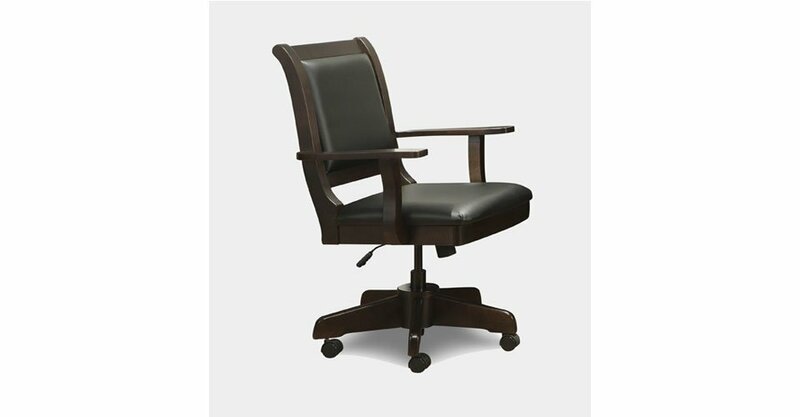 Office Chairs on Wheels: Both of these office chairs are a great combination of modern design with a classic twist! Featuring a strong and bold wood frame with leather details providing the ultimate comfort and polished look. 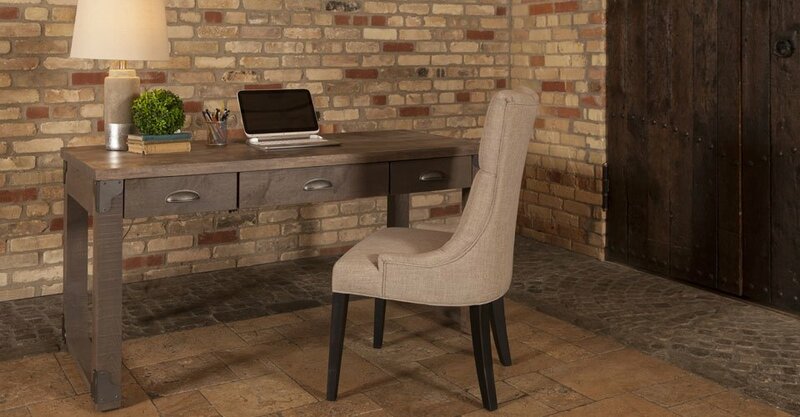 Iron Corner Desk: The iron corner desk is a perfect combination of minimalistic and industrial design! Built with strong materials of pine and maple, the picture above features the “designer grey” stain. We offer many stains and finishes to choose from in order to work with your space. The iron corner desk has three drawers for storage and classic industrial hardware for a modern touch. Stockholm Office: The stockholm office is such an elegant desk. The featured straight fine lines add a clean and minimalistic look. The stockholm office collection offers many furniture pieces to choose from. 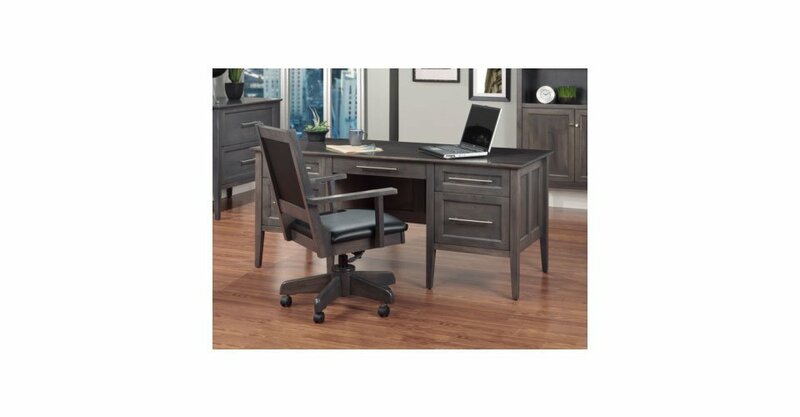 Providing two desk options: the writing desk or the executive desk and for additional storage, you can also add a filing cabinet and/or a bookcase! Florentino Desk Set:The florentino desk set brings luxury to any office space. 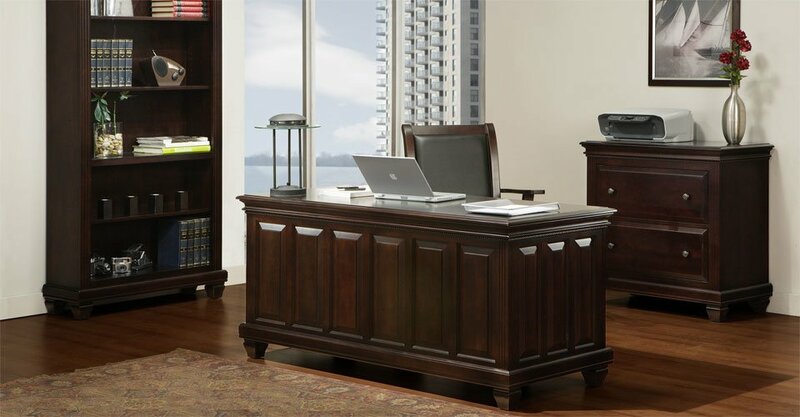 From it’s elegant moldings and raised panels to it’s fine handcrafting, this desk is a timeless piece. There are many stains and finishes to choose from, featured in the picture above is the “dark chestnut” stain. This desk also has a few pieces to pick from, such as an executive desk, bookcase, filing cabinet and hutch. Maybe you have a specific vision in mind and would love to go the custom route. Did you know we actually build custom projects? 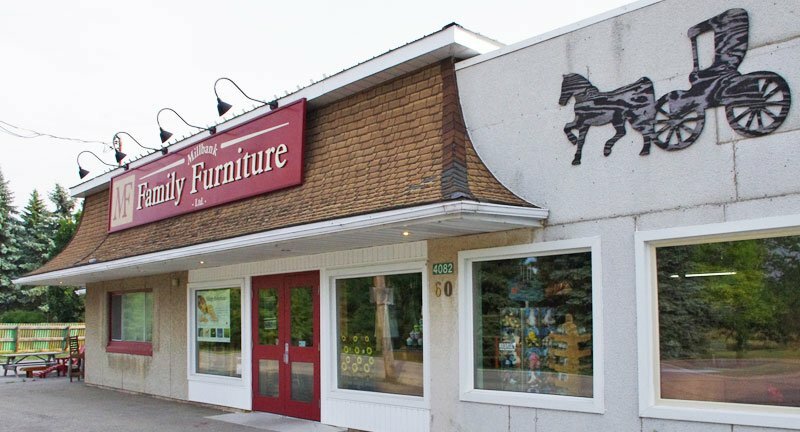 We have been for many years now, take a look at our latest custom project here! We would love to be part of your next custom project! Contact us for more information or visit our website here. The noise around us can be a big distraction, it can also affect our stress levels and make it difficult to be effective. A very simple solution is to purchase a pair of noise cancelling headphones! We also love having classical music playing while working, it’s very calming and keeps us focused! The smells in your office is another element that will affect your productivity, we actually have an article dedicated to scents alone. The article gives great advice on having a diffuser in the office and ideas for essential oil blends. To read more about cleansing the air in your office, click here. Is your office space making a positive impact on your productivity? Connect with us on our Facebook page here and let us know what steps you are taking and ideas that you’ve implemented in your own space. Feel free to contact us for any questions you may have, we are more than happy to help!